What is the newest and coolest way to login to your PC which only happens in movies? Lets face it. Face Recognition is now a reality. 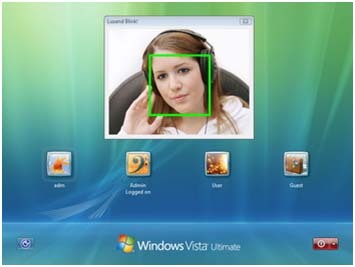 With a software like Blink, you can now use your face as a key to login to your Windows PC. Blink uses your webcam to read a face, find a match from a face database of users and log in the right account. Once the application is installed, just configure it for first time use and register your face. So next time you login, the app will automatically enable your web cam, look into it and your instantly logged in with no password needed. Blink's algorithm can also cope with any changes in your personal appearance such as grow or shave off beard and mustaches, use makeup or dye you hair, wear or remove glasses or contact lenses. Blink works for free with Windows Vista and 7 only, 32-bit versions. Obviously you need a PC web cam for it.